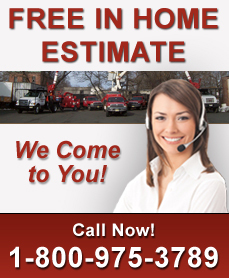 We Provide EMERGENCY Tree Removal in NJ! Uncle Matty's Tree Service specializes in EMERGENCY tree removal in NJ. We have years of experience in cutting down and removing trees within confined spaces or in close proximity to buildings. Like any tree removal, this is often a dangerous and complicated procedure. At Uncle Matty's Tree Service, we have the skills and expertise to tackle the most dangersome of emergency tree services. Uncle Matty's Tree Service also conveniently owns all cranes and machinery necessary for all tree services--tools required to get the job done efficiently and promptly. Hazard reduction tree removal identifies visible concerns and potential risks by assessing dangers in order to maximize tree safety. Do not hesitate to call a professional tree service at the first signs of an unhealthy tree and falling branches and never attempt a tree / branch removal on your own. This can be critically time sensitive and even deadly if attempted by a non-professional. We provide emergency tree care and emergency tree removal services in NJ all year round. When you need emergency tree care or emergency tree removal services in NJ, please contact Uncle Matty's Tree Service today at 1-800-975-3789 and a tree expert will inform you of our extensive tree care services available in North NJ.